As we write, the first iPhone 4S devices will be arriving on loyal customers’ doorsteps ready to be unboxed, set up, and thoroughly enjoyed. We like to think that Apple products are fairly intuitive, but if you’re new to the iPhone cult or are just now jumping into the smartphone game with the announcement of the 4S (we know there are a few of you! 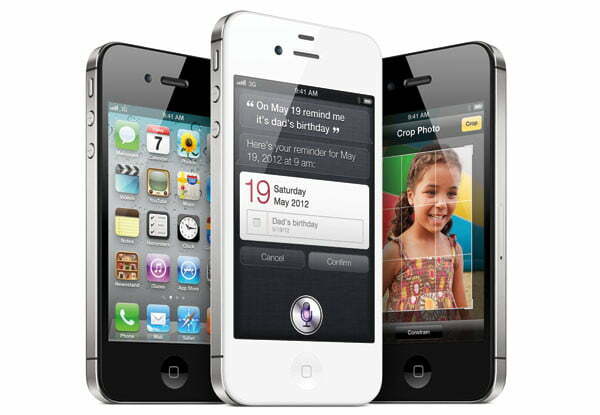 ), there are some important details and helpful tips that we’d like to fill you in on right after you uncontrollably squeal with excitement at the first sight and touch of your shiny new iPhone 4S. These won’t teach you everything about your new gadget, as the possibilities with this phone are seemingly endless, but they will help you adjust to the unique workings of the iPhone and make sure that you get the most out of all it has to offer. This one’s obvious, but probably the first thing you want to do when you unbox your new iPhone is slap a case on that thing to keep it protected from bumps, drops, and scratches. What kind of case you get depends on what kind of user you are, but one thing is clear: everyone should have a case. The design that makes your iPhone so pretty to look at is glass, after all, so one wrong move without a case and you’ll be paying full price for a new one. 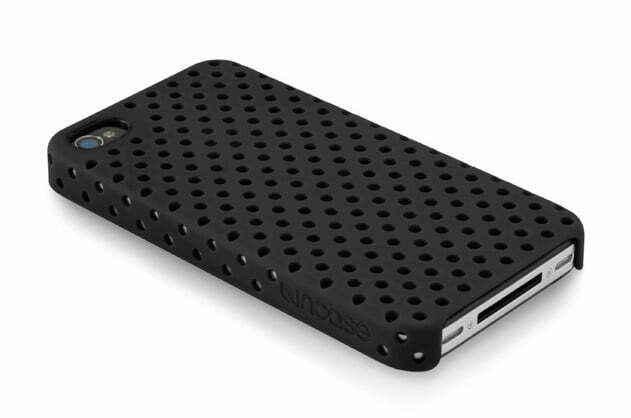 If you’re careful with your phone and take good care of it without dropping it, you can manage with a super-lightweight snap-on case like the Incase Perforated Snap Case ($35), which protects the back of your phone from scratches and gives a good grip, but doesn’t do much for the front. If you want more protection just in case you drop your phone (most people do), go for something that protects the front screen with a raised edge and has a good, grippy texture, like a rubbery silicone case. Something like the Griffin Outfit Ice ($20) will give good protection for most people in a slim design. If you’re the person who breaks or ruins phones like nobody’s business, do yourself a favor and check out products by Otterbox or the water-and-dirt-proof LifeProof Case ($70). Depending on your track record with taking good care of phones, you may want to think about adding carrier insurance or AppleCare+ to your new iPhone 4S. Your phone automatically comes with 90 days of complimentary phone support and a whole year of hardware repair coverage, in case something goes wrong with your phone that isn’t your fault. This Apple insurance wouldn’t cover, say, you dropping your phone in the toilet or dropping it on concrete sans-case. If you’re prone to those kind of accidents, you should certainly consider adding carrier insurance or AppleCare+ to ensure that your iPhone will live a long, happy life. 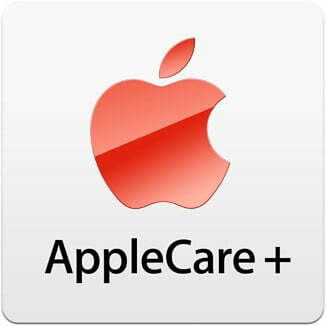 If you haven’t ordered or purchased your iPhone 4S yet, you can add AppleCare+ to your cart when you buy your phone for an additional $99. This will extend your warranty coverage to a total of two years and provide you with accidental damage coverage, meaning that you can replace a damaged phone for a $49 fee. The catch is, you can only do so twice. And, if you already ordered or bought your iPhone 4S without AppleCare+, it seems that you’re out of luck with this option, which seems to be the most affordable should you have to replace a damaged phone. If monthly payments are more your style, you can tack on device insurance to your AT&T or Verizon plan for somewhere around $9 to $11 per month. This will give you the same kind of coverage designed for accident-prone owners, but it will cost you between $169-200 to actually replace the phone if you damage it. This isn’t nearly as affordable as the AppleCare+ option, but it will do if you already have your phone in hand. As we’re sure you already know, half the fun of having an iPhone is being able to download apps for just about everything. We’d start to list the categories, but there are simply too many to count. Before you download any apps, you’ll have to create an Apple ID account, which will allow you to buy apps and give you access to the Apple store and other important things. You can add iTunes gift cards to this account or use a credit card number to purchase apps. We have a separate article detailing our favorite iPhone apps and games, but there are a few select free apps that you’ll want to download right off the bat. We suggest downloading free apps like Pandora, Netflix, Yelp, Twitter, Facebook, and Find my iPhone (we’ll get to that later) as soon as you start using your phone. These are the most basic apps that will get the most use on a daily basis, so you’ll want to give them priority. After that, you can have fun browsing the app store for fun games and apps galore. Some of the best upgrades on the new and improved iPhone 4S were in the camera and video-recording categories. The new camera should take ultra-sharp photos, and the video camera can now record your favorite moments in 1080p HD. Make the most of the photo and video capabilities of your camera by knowing all the details and sharing your creations via social networks and apps. New on the iPhone 4S, users will be able to quickly access the camera function from the lock screen by double-clicking the home button. The time the camera needs between photos has also been reduced to a split second, so you can capture every moment as it happens. You can also tap the area you want to focus on and edit the photo right on your phone. Record videos in HD and download the iMovie app ($4.99) to get full editing capabilities right on your phone. 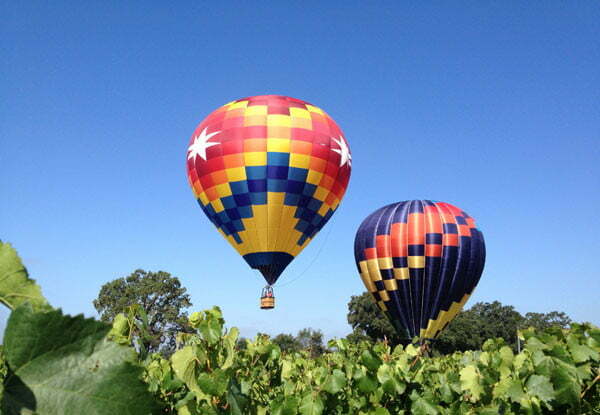 From there all it takes is a tap to share photos and video to apps like Facebook and Twitter. While we haven’t actually gotten our hands on this new service yet from Apple’s iOS 5, it will surely be an important part of the update for users of the iPhone and Apple’s other devices. We won’t go into too much detail, but essentially iCloud aims to give you access to all of your media and documents across all of your iOS 5 devices. Say you have a new iPhone 4S, an iPad 2, and a MacBook Pro: With iCloud you should be able to access your music, photos, and documents from any of those on all the devices. 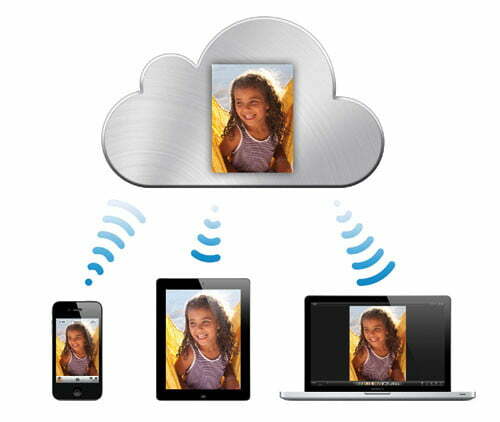 Your media will essentially be stored in the cloud and can be pushed to any device running iOS 5. 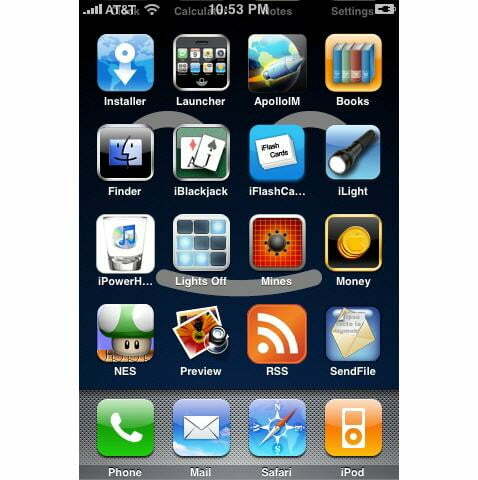 Along with your new iPhone comes an entirely new and improved operating system from Apple called iOS 5. 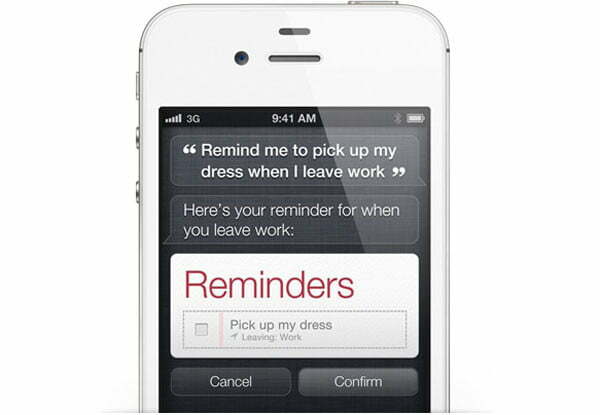 There are a few notable improvements and one big one called Siri. The smaller improvements include things like iMessage, which will allow for unlimited texting between iOS 5 users, full Twitter integration, a new notification bar, Reminders, and Newsstand, where you can easily subscribe to newspaper and magazine apps. The biggest thing that you, an iPhone 4S owner, will have that nobody else will, is Siri, your voice-activated assistant. The revolutionary Siri integration means that when you tap the home button (a microphone with a purple ring), you will be able to tell or ask Siri to do just about anything for you with only your voice. You can ask Siri for the weather, to look up a fact, to text a friend, or to get you directions. Talk to Siri in your normal, natural voice and she will talk back to you or give you the information you asked for on your iPhone 4S screen. We haven’t had a chance to test out this technology just yet, but we’re hearing from reputable sources that it really does work as well as Apple has demonstrated. The possibilities of Siri are endless, and will hopefully make using your new iPhone even easier than before. 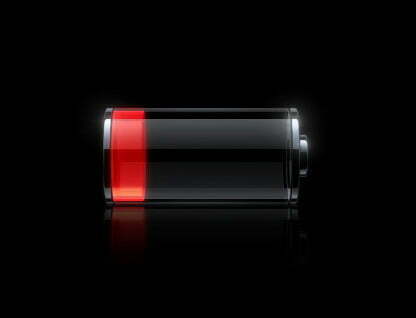 As with all smartphones, battery life is a main concern when you finally get your hands on your iPhone. The battery life of the iPhone tends to be pretty good, with Apple boasting 8 hours of talk time and up to 200 hours of standby time. Regardless, if you are constantly using your iPhone during the day and leaving the screen on at all times, you might run out of juice by the evening. You can buy extra battery packs or accessories that will extend the life of your battery, but these are just a few basic usage tips that will help your battery last as long as possible. First off, turn on Auto-Brightness in your phone’s settings. This will let the phone sense ambient light and turn the brightness way down if you’re in a dark environment. This way, your phone will only be as bright as possible when you’re in a bright room or direct sunlight. You can also manually turn down the brightness on your phone to keep it at a constant brightness. If you don’t need them all the time, turn off your GPS and push data, which sends you notifications from your email, etc. These constantly use battery, even when you aren’t using your phone. An easy way to save some battery is to set your phone to go into sleep mode after only a few seconds, instead of staying on for 15 seconds after you check an email. You can do this in your settings as well. Restart your phone: To actually restart your phone, you have to hold down the home and lock buttons at the same time for about five seconds. This can be particularly helpful if an app starts misbehaving or if you’re phone freezes for an unknown reason. Doing this quick restart will usually solve the problem. Take a screenshot: This easy trick lets you capture exactly what’s on your phone screen, be it a photo, Web page, or a funny conversation between you and a friend. To take a screenshot, quickly press the home and sleep buttons at the same time. Your screen will flash white and you’ll have a photo of your screen saved to your Camera Roll. Find my iPhone: This free app (one of the first you’ll want to download) lets you find your phone on a map should it get lost or stolen. Simply activate the app on another iOS device, enter your Apple ID and you’ll be able to see the location of your phone. For this to work, you have to link your phone with your Apple ID account first, so don’t forget that step when you download the app. Create folders: If you have dozens of apps or don’t like to have too many home screens, this tip will be especially useful. You can create folders for apps by dragging an app onto another app and then naming the folder. We suggest doing this for categories that probably have several apps, like social networking, photos, utilities, and games. This will clean up your home screen and put similar apps in the same place.